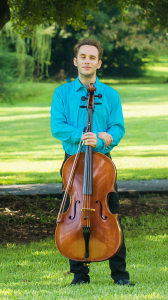 Join us Tuesday, February 12 at 7:30 pm at the Wilson Auditorium at the Montgomery Museum of Art for Ryan Donohue’s next Cello Fellowship concert. Ryan received his bachelor’s degree in cello performance from the University of Cincinnati: College-Conservatory of Music (CCM), where he studied with Alan Rafferty. He has performed across the United States, Japan, and Europe in orchestral, solo, and chamber music settings in renowned music festivals, such as the Pacific Music Festival, the Kent/Blossom Music Festival – a partnership with the Cleveland Orchestra – and the Green Mountain Chamber Music Festival. Ryan has played with the Blue Ash/Montgomery Symphony since early 2017.